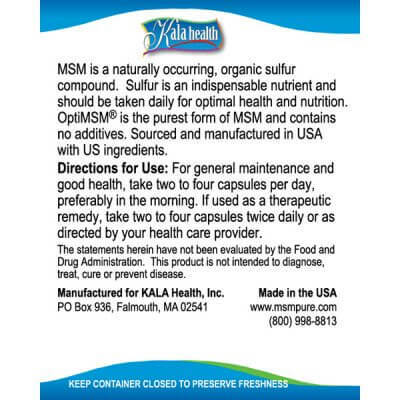 MSM Capsules – At KALA Health, Inc. we believe your MSM capsules should contain the highest quality, licensed MSM, and deliver the full 1,000 mg per capsule that is demanded in the market to-day. At KALA Health, Inc. we believe your MSM capsules should contain the highest quality, licensed MSM, and deliver the full 1,000 mg per capsule that is demanded in the market to-day. When you look around for the MSM content in other MSM products, you will find quantities ranging from 500-mg to 950-mg. To obtain a vegetarian capsule that guarantees the delivery of the full 1,000 mg of OptiMSM®, the premium brand of MSM, consistently, and free of additives, requires special methodology and expertise. 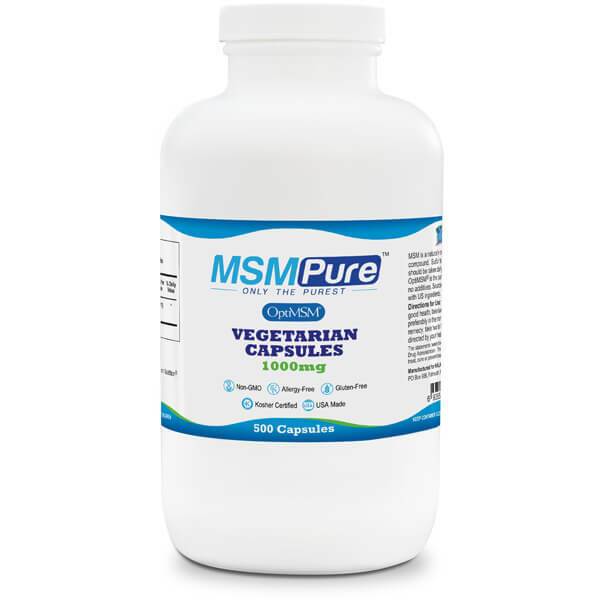 By using 100% pure MSM “flakes” instead of crystals, a denser form of MSM is used which achieves the full 1,000-mg MSM per capsule. 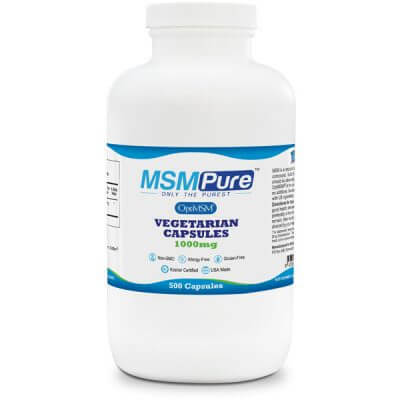 Another step we have taken to guarantee that each vegetarian capsules delivers the full 1,000-mg (1 gram) of MSM is the use of specially-designed “elongated VegiCaps” (vegetarian capsules). 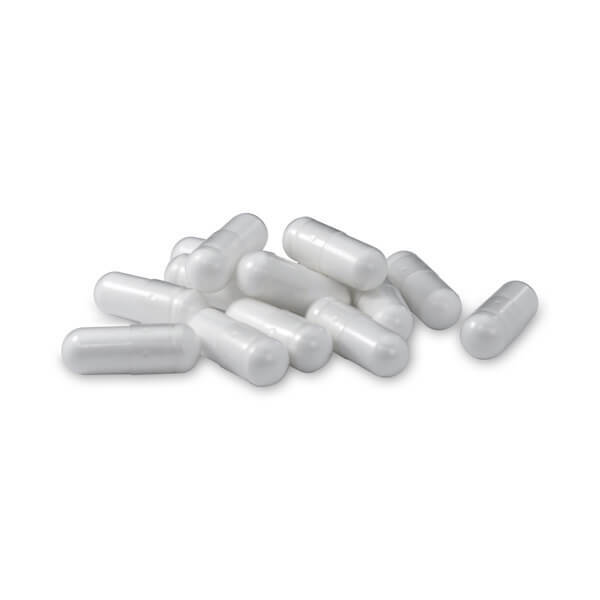 These capsules have a slightly larger volume, allowing for a full 1-gram dose of MSM per capsule, guaranteed to be free of microbiological, heavy metal or other contaminants. For general maintenance and good health, take two to four capsules per day, preferably in the morning. 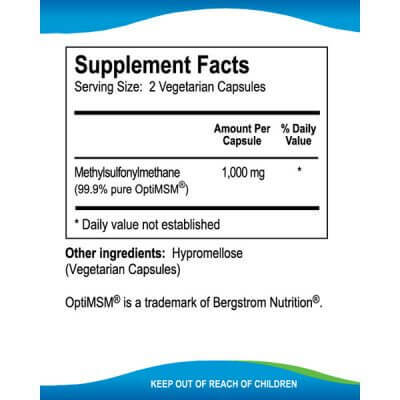 If used as a therapeutic remedy, take two to four capsules twice daily or as directed by your health care provider.